Dubbed as a "miracle cure," Child's Farm Baby Moisturiser recently went viral for its ability to dramatically reduce both eczema and psoriasis. But, for some sufferers, even this wasn't enough. Thankfully, there's now another product sweeping the internet with success stories. 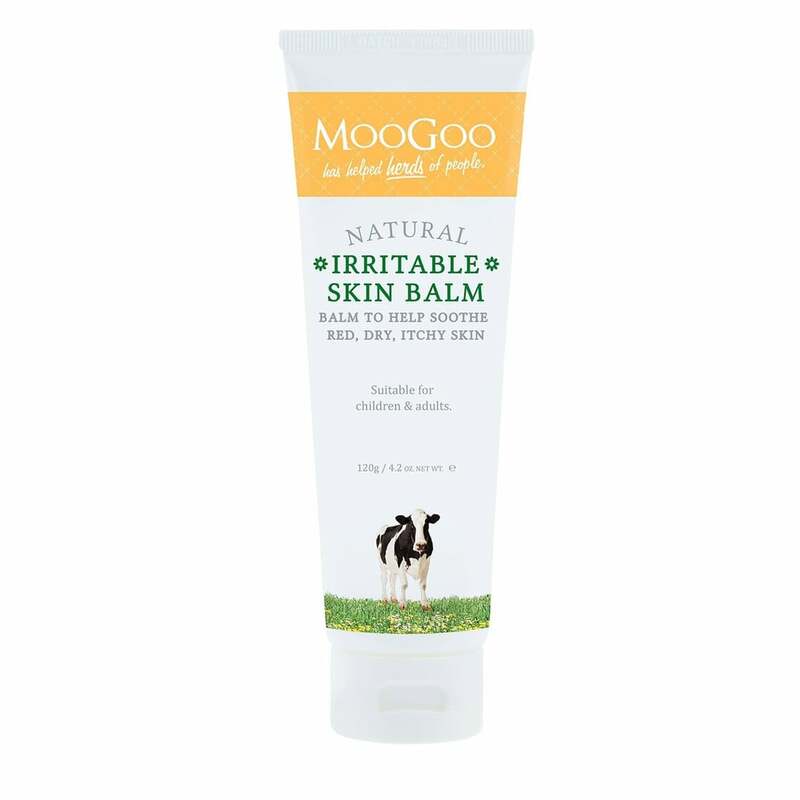 Moogoo Irritable Skin Balm (£13) is a soothing product people are raving about, as it not only moisturises their skin, but also clears up eczema in both adults and children. After seeing his mum using a white paste intended for a cow's udders to soother her psoriasis, founder Craig Jones came up with is own formula, and Moogoo was born. Containing sweet almond oil, squalene, aloe vera, and a number of other moisturising ingredients, the cream is perfect for irritated skin. And on top of saving dry skin, the brand also prides itself on creating natural products, and even breaks down ingredients on its website, providing a full description of each. Moogoo also has a Soothing MSM Cream (£12), containing the organic sulphur MSM, an ingredient which has been proven to help soothe skin and reduce discomfort caused by skin conditions. We've even seen success with MSM cream in clearing up eczema flare ups. As always, products work differently for various people and nothing is a miracle cure for everyone, but if you are having problems with your skin, this goo might just be your miracle.